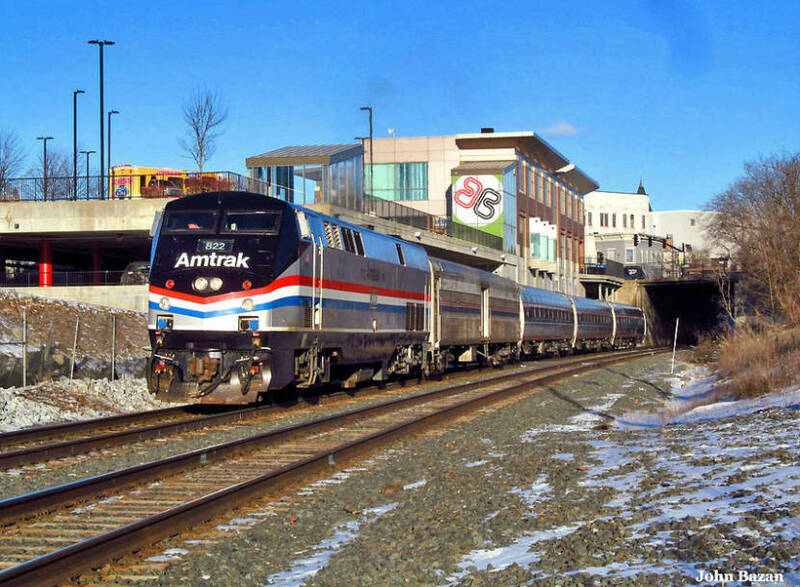 Amtrak's westbound Lake Shore Limited, between Boston and Chicago, departs Pittsfield's Intermodal Transportation Center. The proposed Berkshire Flyer would use the same route as far as Rensselaer, New York, whereupon the train would head south to New York City. Pittsfield —The train hasn’t left the station — yet. But the possibility of dependable passenger trains once again arriving and leaving Berkshire County is very much alive on at least three fronts. The plan that is closest to becoming a reality is one that state Sen. Adam Hinds, D-Pittsfield, envisioned last year, along with West Stockbridge rail enthusiast Eddie Sporn. The flyer proposes weekend seasonal rail service from New York’s Penn Station to Pittsfield using an Amtrak line north through the Hudson Valley and turning east in the Albany area to Pittsfield. Click here to read about the 130-page study produced by the working group in March 2018. 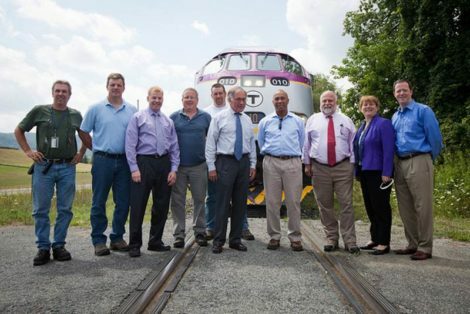 Dubbed the Berkshire Flyer and modeled after a weekend service to Cape Cod from Boston, Hind’s proposal received funding from the state legislature for a study and later secured additional funding for a pilot program to begin service in 2020. The service will be provided by Amtrak. 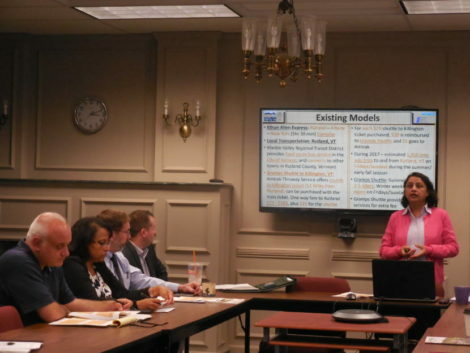 The Berkshire Flyer working group met Monday afternoon (Oct. 29) at the Berkshire Regional Planning Commission’s offices in Pittsfield to advance the discussion and iron out more details around models for comparable existing service elsewhere in the country, so-called last-mile transportation issues, and the most effective means of marketing the service. Click here to see the PowerPoint presentation made by Anuja Koirala, the commission’s senior transportation planner. Several models in Vermont and the Lake George, New York, area, including Amtrak’s Ethan Allen Express, were reviewed. 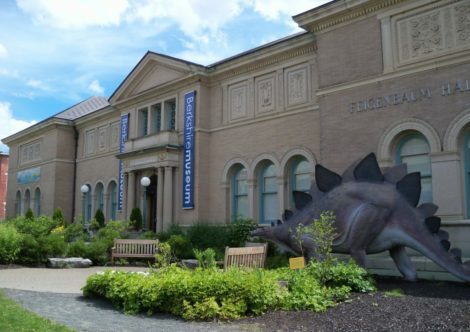 Last-mile options — in other words, how to get to your destination after arriving in Pittsfield — include existing shuttle and limousine services offered by Kripalu, Enterprise Rent-A-Car, Zipcar, BRTA buses, conventional taxis and on-demand peer-to-peer ride-sharing services such as Uber and Lyft. Skeptics of the Berkshire Flyer approach have been critical of the fact that it will not service Berkshire County residents but rather, it will target only wealthy New Yorkers and millennials who want to come up for the weekend and leave their cars at home. Many of those skeptics were fans of a previous plan, supported by the Great Barrington-based nonprofit Train Campaign, for daily passenger rail service from New York’s Grand Central Terminal via Connecticut and up through the Housatonic Valley to the Berkshires. That plan includes four stations in Berkshire County: Sheffield; Great Barrington; Lee; and the terminus at the Intermodal Transportation Center in Pittsfield. As such, the Housatonic rail plan would have provided greater value to Berkshire County, both in terms of tourism for those towns and for local residents looking for mass transit. The Cape Flyer, a rail service between Boston and Hyannis. But there’s one major problem with the Housatonic plan. That proposal, which would have utilized an existing freight corridor used by Housatonic Railroad, stalled because of an unwillingness to cooperate on the part of the state of Connecticut, which, for a variety of reasons, is facing intense fiscal pressures. So in order to do its part, Connecticut would have to spend an estimated $200 million on upgrading the rail line – a rail corridor that the state owns and leases to the Housatonic — and renovating existing stations or building new ones. Meanwhile, work has begun on the Massachusetts side. The state is spending $30 million to the replace tracks with modern welded rail after purchasing them for $12.1 million five years ago. The current track structure of jointed rail is quite old and so its replacement is necessary even if only to continue the vital freight service. The Housatonic line in both Massachusetts and Connecticut has been plagued with derailments. The initiative to restore passenger service to the Berkshires started under the administration of former Gov. Deval Patrick, who owns a home in Richmond and toured the Berkshires in 2014 to promote passenger service to New York. 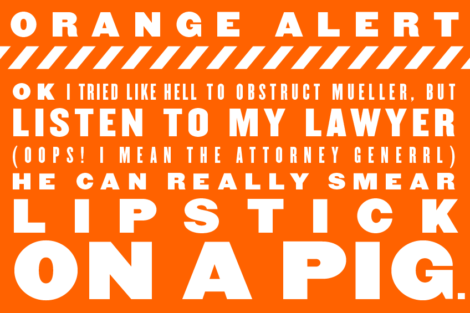 The administration of Gov. Charlie Baker has been less supportive, though the state Department of Transportation has been helpful, Berkshire rail advocates say. There have been some other encouraging signs on the passenger rail front. 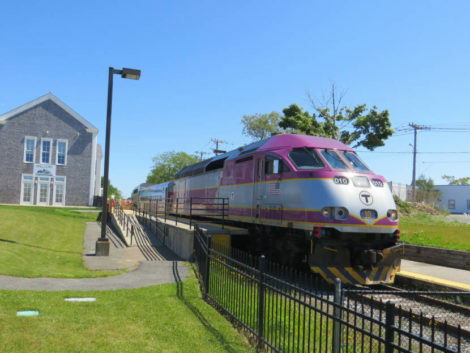 Earlier this year, MassDOT unveiled a draft rail plan for Massachusetts that included funding for a study of high-speed rail between Boston and Springfield. While the Train Campaign proposal is not very popular in Hartford — and now perhaps Boston — many of those who live along the Housatonic River Valley in Connecticut enthusiastically support it. Christensen recently traveled to the Connecticut towns along the Housatonic corridor. 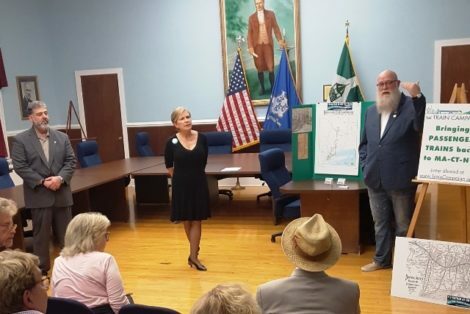 In September, she stopped in New Milford, where she met with Mayor Pete Bass and a trio of state lawmakers from the area. Christensen probably felt right at home. New Milford Town Hall looks strikingly like Great Barrington’s because it was designed by the same architect. Bass could not be reached for comment but officials in New Milford are clearly enthusiastic about restoring passenger service because of what it could do in the other direction: enable the town’s commuters to access densely populated Fairfield County and its tens of thousands of jobs to the south. Connecticut state Rep. Brian Ohler, R-Canaan. 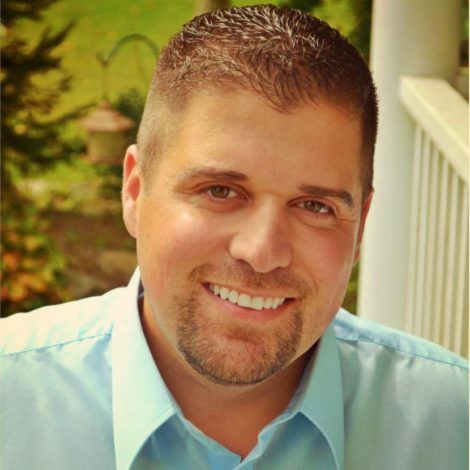 One such lawmaker is Republican Brian Ohler, a first-term state representative who lives in Canaan and represents much of Connecticut’s Northwest Corner. He said passenger rail service along the Housatonic Railroad corridor halted in 1971, and the campaign to restore it has been a topic of discussion for decades but it has intensified over the past few years. Indeed, Ohler says the freight line itself is invaluable to the economy on both sides of the state line. That alone would make the track upgrades worth the cost. “Once the track can be upgraded, then I believe the timing would be ripe enough to incorporate passenger service,” Ohler explained. Indeed, when he traveled to Cornwall, Conn., to make the case for passenger service in 2014, former Berkshire Regional Planning Commission head Nat Karns said that even if passenger rail does not return to the Berkshires, the 100-year-old freight lines must be rebuilt anyway. And, apart from station acquisition and construction, there is little difference in costs between building to freight and building to passenger rail specifications. One of the largest sources of jobs is the sprawling Becton Dickinson plant in Canaan. As the world’s largest manufacturer of syringes, BD employs hundreds in the region. Also affected by any disruption in freight service would be Specialty Minerals, which has a large Canaan plant that processes limestone and other stones and minerals. Over the state line, the company formerly known as Sheffield Plastics also has a medium-sized plant on Salisbury Road near the tracks. The company employs approximately 150 and manufactures industrial-grade plastic sheeting. In addition, Housatonic Railroad says the Massachusetts portion of its freight line serves two paper companies, a limestone quarry, a distribution center, a public warehouse, a lumber shipper, a concrete manufacturer and a fertilizer receiver. Ohler cautioned that, as in Berkshire County, many of his constituents in Connecticut have “mixed emotions about reinstating passenger service” and that restoration of passenger service would require a careful examination of each community’s needs. Those who are focused on economic development, for example, tend to be squarely behind the concept. But people who live full-time near the tracks might not welcome the increased rail traffic and the frequent horn blasts associated with trains traveling across grade crossings, for example. While it’s obvious that Malloy, the lame-duck Connecticut governor, will not support paying for the restoration of passenger service on his side of the border (he did not even mention it in his much vaunted 30-year $100 billion transportation plan), it is unclear what position his successor will take. Malloy is finishing up his second term and is not running for re-election on Nov. 6. Republican nominee Bob Stefanoswki has promised to eliminate “wasteful” spending and repeal the state income tax over 10 years. That tax accounts for half the the state’s revenue. It is hard to imagine that he would support the Train Campaign’s Housatonic proposal. Democratic nominee Ned Lamont has talked a lot about transportation during the campaign and is hardly hostile to public transit, but he has also emphasized a need to control spending. The Lamont campaign did not return a message seeking comment. Christensen was hopeful that Republican Mayor Mark Boughton of Danbury would receive the gubernatorial nomination. Danbury is just to the south of New Milford, so Boughton realizes the economic impact the revitalization of rail to the region might have. But it was not to be. Christensen said there are precedents for states picking up much of the tab for rail improvements in another state, which is one of the stipulations that Malloy said would be needed for his support. Indeed in his interview with this reporter, Malloy cited an example. 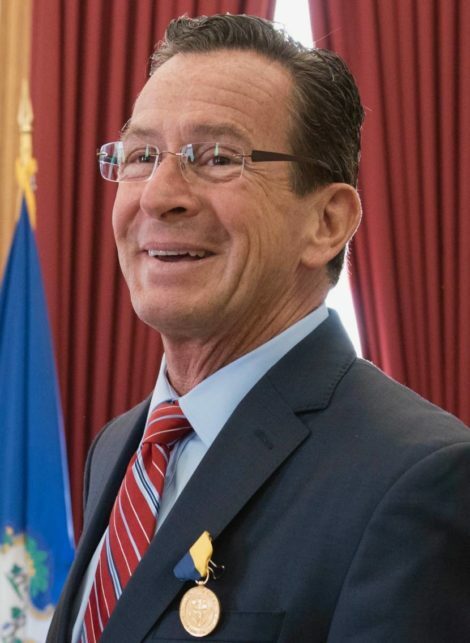 Malloy pointed out that his state has committed hundreds of millions of dollars to the recently completed New Haven–Hartford–Springfield high-speed commuter rail line. Connecticut paid the lion’s share of the costs to upgrade the Massachusetts portion of the line. “They would have to pay a disproportionate amount, just as we have to pay a disproportionately large amount to establish commutation to Springfield,” Malloy said. Meanwhile, the next meeting of the Berkshire Flyer working group is Nov. 26, with date and location to be determined. I have been opposed to he Hinds proposal as a folly that will not materially increase rail usage to the Berkshires. South county access from Pittsfield will only add to the higher cost of travel not to mention the absurd increase in time travel. I suggest a deeper dive into bipartisan exploration with Connecticut to do the right thing. Stop spending millions on fact finding for the Hinds proposal. It will end in folly. Please join the Train Campaign: https://donorbox.org/train-campaign-membership. Which proect is best? I say both. We ought not to be taking sides between the Berkshire Flyer and the Housatonic Rail route. For starters, they are on significanlty different timetables. The Berkshire Flyer is teeded up to start soon, and though it’s not a useful alternative for those of us in south county, I think it will be a great additional transportation option for Pittsfield area residents and visitors and to north country. It’s a pilot program we really need to talk it up positively and support when service begins. That said, from what I have learned, reestablishing passenger service on the Housatonic line appears to be the better solution to connect the Berkshires to NYC. However, as clearly reported in this story, the project is frought with challenges. For any chance of success it needs our continued interest and support. 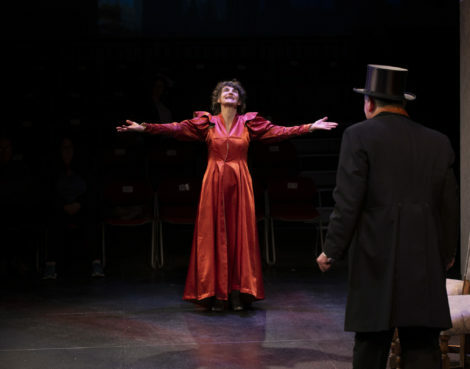 We should all get down on our knees and thank Karen Christensen for her unrelenting effort to keep this project front and center in the face of big odds. If you care about this issue, you should consider pitching in and getting involved in The Train Campaign (LINK: https://barringtoninstitute.org). Thank you, Tim, from the bottom of my heart. Why not simply add bus service from wassaic train station to barrington and other locations and be able to keep costs down and not get into a money pit. No one has managed to come up with a ticket cost for this Housatonic train trip. This whole concept is not thought out completely. Think about sitting on this train for about four hours…. What about the demographics of the seasonal tourists? Most come up for the Museums , Music , Theater Etc. These people generally come visit by cars they own or they rent a car . If traffic is moving OK you can drive from the NYC area to Great Barrington in 3 Hours. Penn Station to Albany takes over two hours and at least another hour to Pittfield . Then additional transportation would be required. The Housatonic route would be more direct if a connection could be made to the old New Haven Maybrook line to Danbury and the onto the Housatonic. That would be a quick ride as far as Danbury but the route north is not a high speed railroad due to the curves so it will still be a long trip. It would probably attract more riders if the towns in northwest Connecticut were served also. I love train travel but I agree with Bob that reinstating connecting bus service from Wassaic makes sense. This was discontinued years ago so it might serve as a test to determine the demand from people who don’t own cars, rent cars or don’t want to drive. Could it be that a key reason seasonal tourists come by car is because there is not convenient direct train service? As a visitor, getting of a train in Wassaic with no robust local transportation options makes coming by car essentail. If there was direct train service from Grand Central to Sheffield/Great Barrington, Lenox and Pittsfield, this would create greater demand for Uber/Lyft service and other local transportation options and make bringing a car not the only choice. I agree that for for folks living in, or visiting, south county the Berkshire Flyer route is pretty much a non starter. The Housatonic line is more direct and has the potential to be a considerably shorter trip. I believe it would gain significant ridership. And yes, this service would need to include northern CT. Direct train service is not all about seasonal visitors/tourists/vacationers to the Berkshires. It would make living in the Bershires while maintaining work connections in New York far more plausible and desireable. A case can be made for such service encouraging population growth in the Berkshires by entrepreneurail individuals and families — something that would greatly benefit our region. The positive economic development impact could be substantial. The same case could be make for service from Boston. At best restoring passenger service on the Housatonic line is a long term project. Meanwhile, regularly scheduled bus service from Wassaic to the southern Berkshires might encourage more train ridership and be practical way to gauge interest in rail transportation vs driving. Thanks to Terry Cowgill for this deep dive, and to others here for their support for the Train Campaign. If you want passenger rail that works for you, join the Train Campaign: http://www.traincampaign.org. It’s an all volunteer organization but we need your support – and participation. I’m posting further information at our website, but want to respond to a few details. 1. It’s not quite right that “in order to do its part, Connecticut would have to spend an estimated $200 million on upgrading the rail line – a rail corridor that the state owns and leases to the Housatonic — and renovating existing stations or building new ones.” The entire Housatonic Line project had an estimated budget of $200 million. We have been working, however, with a figure of $250 million. MA has already committed close to $45 million. Another $65 million was contingent, under Governor Patrick, on CT putting money in, too. Upgrading the 37 miles of track that Connecticut owns would come to (all these numbers are approximate, but realistic) some $40 million. The cost of a station varies, but we expect to see something on the lower end of what’s possible. Then we’ll need the actual train cars, and various safety improvements. Much more information on the budget to come, and if you’re a quantitative researcher we would be happy to have your expert help. 2. From the article: “Funding from Massachusetts appears elusive, at least at this point. The MassDOT draft rail plan for the state included funding for the aforementioned study of high-speed rail between Boston and Springfield but it rated both the Housatonic line’s benefits and feasibility as ‘low.’” That text was published before the major line upgrade began in July, when the details of the upgrade work had not be finalized, and with that underway we feel confident that the MassDOT will want to ensure maximum return on citizens’ investment of close to $45 million. This makes it likely that we will soon see efforts by MassDOT to work with ConnDOT to develop coordinated service improvements with the aim of reintroducing passenger rail. As an interim plan. Run onrail electric busses from Danbury up the Housatonicc line to all towns . The buses would have both rubber road tires and retractable steel wheels so they could run on rails or roads , giving great flexibility in scheduling , routing and stopping . Then they could get out of the way of freight trains allowing both use of the line . They wouldn’t need expensive stations and could even drive uptown to pick up passengers. Instead of only down at the tracks . Several busses could be coupled togeather into trains if traffic required it . This is a no-brainer to me. NYC to Springfield or up to Pittsfield would be a boon to the area. Want to attract businesses? You need reliable transportation. Want to see your real estate values go up? Look no further than good public transportation – especially rail. Want to help the parking lots that 84 and 7 have become? Want to get hundreds of cars off the road and improve our environment? Move people by train. Want to stop people driving 70 MPH on our back roads? Get them on trains. Want to invest in Connecticut? Invest in our infrastructure. I am located near New Milford and have seen a sharp increase in weekday, weekend and holiday commuters to and from NYC. Many of these people either drive all the way in or drive to Brewster or Southeast to get the train to NYC. Some even go to Wassaic (mentioned many times here) but this is harder since there are no main roads running east/west. Have New Englanders really gotten to a point where we turn to New Yorkers for solutions instead of investing in our own? A small investment in our infrastructure will help businesses, commuters and the environment. Quite a bit of time on a service via Albany would be saved with a two engine train for the steep climb out of the Hudson Valley. Upgrading the Post Road , replacing the worn out second hand jointed rail there. Would allow for higher speeds up that hill. I think it’s ten miles to the top! Views on the south side of the trains by the way. Any use of the direct line to NY. Must have a Tilt Train on it. For all those 1840 restricted curves. No very high speeds needed for lots of time saved.